MSC Cruises are the only true Italian Cruise line. They are privately owned and in a short period of time have one of the largest and newest fleets in the world. MSC Cruises offers you great value fly/cruise holidays to the Med in 2017 and 2017 with sensational discounts available on summer departures exploring both the Eastern and Western Mediterranean. Or if you are thinking ahead to next year, you can opt for some winter sun by cruising in The Canary Islands, Dubai, the Emirates and Oman or the Caribbean. ALL-INCLUSIVE DEALS: DRINK WHAT YOU WANT, WHEN YOU WANT FOR LESS! Allegrissimo From £20per Adult per Day - With Allegrissimo, you're free to savour every moment, 24 hours a day, with your favourite beverage. So you can sip a fruit smootie by the pool after your morning swim, enjoy a glass of beer with your lunch, indulge in a classic cocktail before dinner, accompany your meal with some delicious wine and round off a day in the main onboard restaurants, self-service buffet and all bars (not valid in à la carte restaurants). THERE IS A TRAVEL EXPERIENCE FOR EVERY WISH. Mediterranean Shipping Company (MSC) is one of the newest cruise companies, making its fleet one of the youngest and most modern. 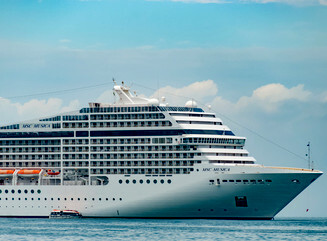 A privately owned Italian company, MSC operates a large fleet of elegant, state of the art ocean liners. The company aims to offer an alternative for European based customers seeking competitively priced cruises who do not wish to fly to the USA to set sail. All ships in the MSC cruise fleet have a strong Italian ambiance which is carried through all aspects of the experience, from the authentic Italian cuisine to the warmth of the Italian welcome. Italian flavours are not merely present in the décor and service, but can be tasted in the handmade ice cream and espresso coffees served on board. Other styles of cuisine are provided on board in speciality restaurants offering Tex Mex, Sushi and International Cuisine. 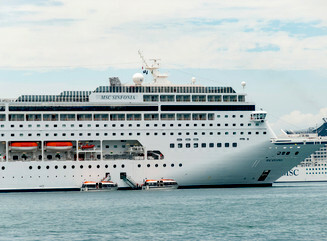 Accommodation on MSC cruise ships is predictably modern and stylish with great amenities. Passengers choose from a wide range of accommodation options from spacious suites with private balcony to peaceful inside suites for the budget conscious. There is always something to do on an MSC cruises. Modern ships offer modern entertainments and on various ships passengers can divide their time between the bowling alley, the multi-screen sports bar, F1 simulator, Aqua Park and 4 D cinemas. Fitness enthusiasts can keep up their regime on the jogging track or basketball court, or if gentler pursuits are required a spa treatment in the wellness centre or an afternoon in the library may suffice. Evening entertainments are extensive, featuring a casino, theatre, nightclubs and live bands. Where do MSC cruises go? 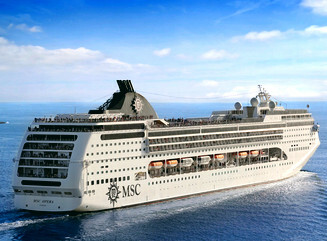 MSC is a truly European cruise line and many ships spend the majority of their time sailing in the calm, sunny waters of the Mediterranean. Cruises around the Balearics, Canaries, Morocco, Spain, Italy, Turkey, Greece and Israel are plentiful and the choices and itineraries are extensive. 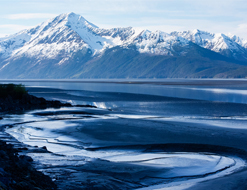 MSC also visit northern Europe, taking in the Norwegian Fjords, Iceland and the Baltic capitals. 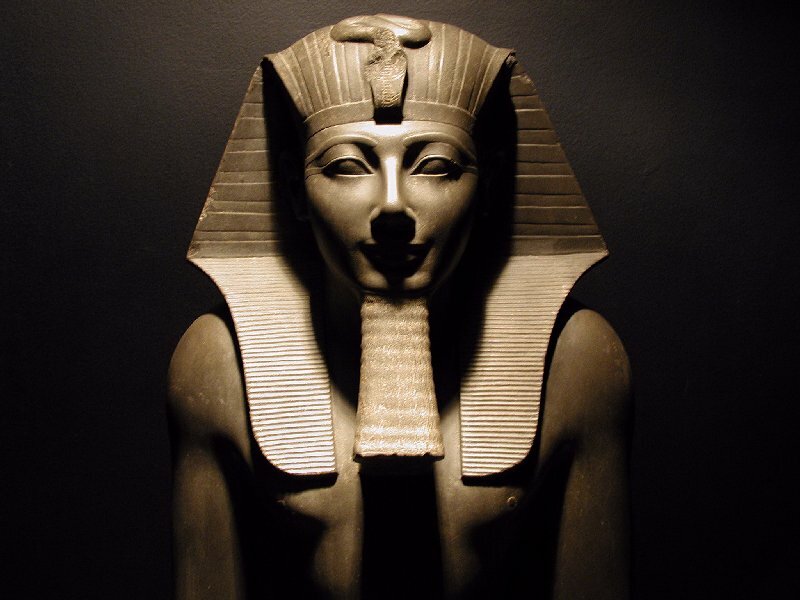 Worldwide cruising is an option with trips to Namibia, Senegal, Mozambique, South Africa and the Indian Ocean being firm itinerary favourites. 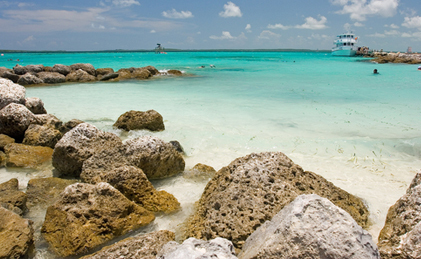 Relaxing cruises of the Caribbean or scenic tours of USA and Canada can be booked. 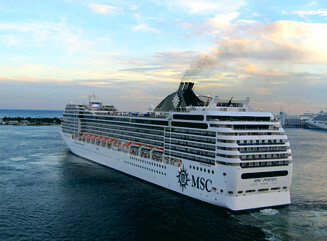 MSC even cruise in South America, dropping anchor in Brazil, Uruguay and Argentina. Who goes on MSC cruises? Being an Italian based company you will hear many different European languages spoken on an MSC cruise. As a mass-market line catering for the budget conscious Europeans, MSC provide great value for money. 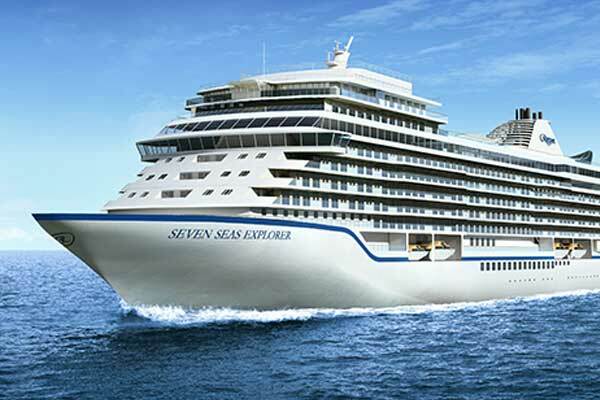 A cruise with this company suits those with a relaxed attitude to cruising, willing to embrace the differences and nuances this stylish Italian company bring to large liner travel. 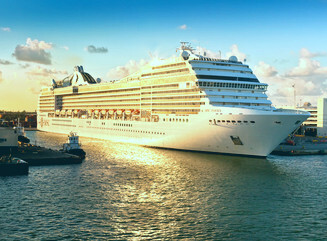 MSC cruises make the perfect choice for a family cruise. The family friendly philosophy at MSC means children are very welcome and free entertainment for those between the ages of 3 and 17 is provided. 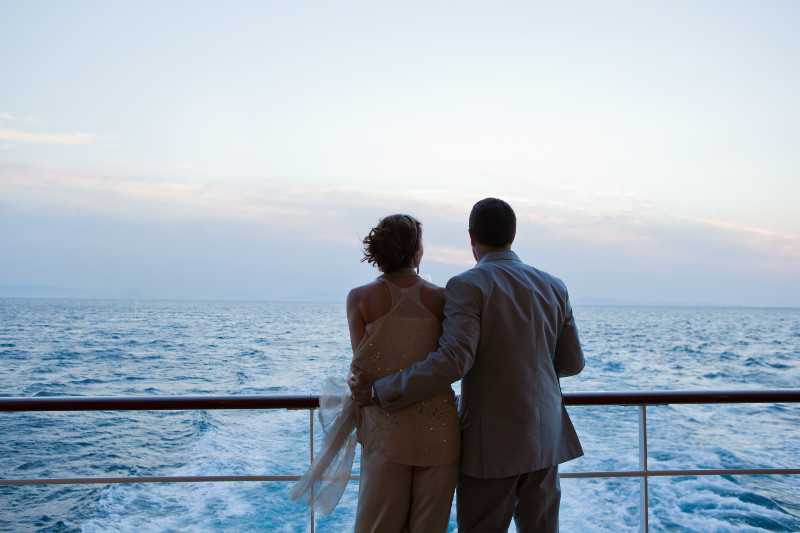 Romantic cruises aimed at couples can be arranged and themed cruises with activities and entertainments centred on topics such as Big Band Music or Baseball are available.